Hi everybody!! Did you know that I am going on a BIG holiday on the 25/3/2016!!! I will also be going to Dubai first for four days and then I will go to London for 3 weeks!!! In Dubai we are going to a water park for an Easter egg hunt and also to swim and go onto the slides and to swim with dolphins. Hi everybody?! I am having an awesome time away so far ? ?When we got to the Hobart airport we had to wait 2 hours till our plane arrived and then we got to Melbourne which took about 1 hour to get there. Then we had to wait 5 hours to get on a plane to Dubai which took 14 hours to get there! We were in Dubai for 5 nights and then we went to London and we are there for 3 weeks????? ?And we are going to see the castles and we went to Lego land and we are going to the London zoo and in Dubai we went to old souks and gold souks. Souks are like a market but in Dubai most of them speak the language Arabic and they come out and try and get you to go in to their shop because they are fighting to get more tourists than the other stores. Say it was a scarf shop they would come out and put one of there best scarfs onto your neck and they would take you into their shop and try and get you to buy it ?? so that is what I have done so far?????? 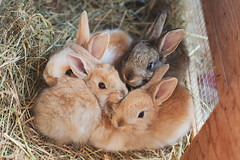 My rabbits lived for about two to three months. None of them ate carrots! One of them was called Twitch because when we got her Twitch twitched her nose a lot. My other two rabbits names were Jack and Cookie. A few days ago my family & Mira’s family went on a bush walk to Scott Kilvert hut near cradle mountain. If you click on the red letters then you will see the video of me & Mira sliding down rocks. We will begin our work in reading comprehension this term by learning about inferences. Inferring requires higher order thinking skills, and it can be difficult for many students. We need to find clues to get some answers. We need to add those clues to what we already know or have read. We need to be able to support our inferences. We are very proud of Didier and Rosie who did a wonderful job hosting their first assembly for the year! Alexander also did a great job reading the “acknowledgment of county”. Well done guys!